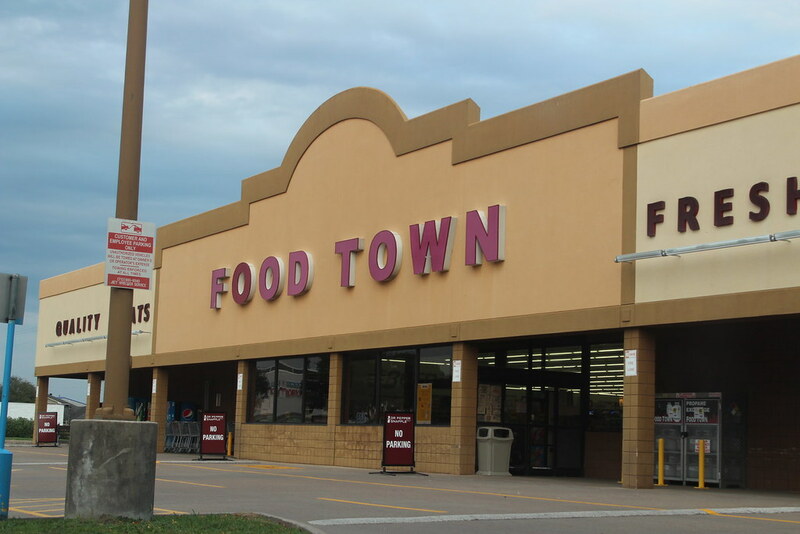 Food Lion was founded in 1957 in Salisbury, North Carolina under the name Food Town. 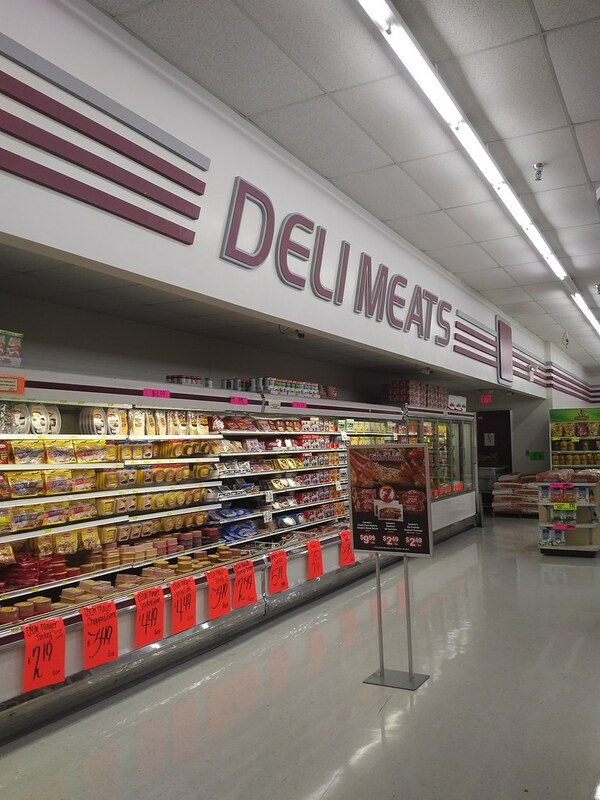 The chain expanded throughout North Carolina and was acquired by the Belgium Based Delhaize Group in 1973. The company continued to expand and crossed state lines into Virginia in 1983. Due to the name Food Town already being utilized by a Richmond, VA based chain the Food Lion name was adopted. This name was chosen because of Delhaize Group’s use of a lion in their logo. Throughout the 80’s the chain continued to expand across the Mid-Atlantic and Southwestern U.S. opening hundreds of stores. In 1990 Food Lion announced their intentions to expand into Dallas. By September of 1991 they had opened 21 stores, and a distribution center. When asked about their future plans they indicated that they had no immediate plans to enter the South Texas market. By January of 1992 they had opened 42 stores in Dallas, and announced that they were in fact planning on entering the Houston market. In September of 1992 Food Lion purchased a nearly 3.5 acres on Eldridge near Jess Pirtle in Sugar Land to develop a new store. At the time the company was also developing stores at the 2500 block of Texas Parkway and Independence Road in Missouri City and at the 600 block of Cartwright Road in Missouri City. One of the Independence Blvd store was the first to open on December 3, 1992 along with the Baytown store on the same day. At this point Food Lion maintained their ambitious plan to continue to expand to 40 locations. In the fall of 1992 ABC’s Primetime Live was tipped off about unsanitary practices occurring in Food Lion stores. Two producers on the show were able to obtain jobs at Food Lion. During their employment the producers used hidden cameras to record employees. The report which aired showed unsanitary food practices, such as repacking expired meat, bleaching old pork, and using nail polish remover to re-date dairy products. Food Lion later sued ABC and uncovered unaired footage that indicated that workers were coerced to violate policy by the ABC producers, but the damage was done. The Primetime Live report hit hard all around the nation however the hardest hit stores were in Texas. Both the Dallas and Houston divisions were still newcomers within their markets. With the Dallas stores having been around only a year, and the Houston stores not even open yet. On Christmas Day 1992 Food Lion announced their intentions to drop back from 40 prospective stores to only 8. Food Lion continued to open stores. At the same time H-E-B started to move into Houston via the Pantry Food stores. A price war broke out between the grocers, which ended up with Food Lion losing money. In a bid to help supplement income Food Lion began to purchase larger lots with intentions of selling pad sites to other retailers. By November of 1993 Food Lion was up to 13 locations in the Houston area. Although the company warned that if business did not pick up they would be forced to drop their newer stores, but no dates were set. The company continued to operate their stores until their sudden closure was announced on January 8th, 1994. The company announced that they would close 6 of the 13 Houston locations, and 36 of the 69 Dallas stores where the chain had fared a bit better. By the end of 1994 all Houston Food Lion locations were shutdown. 1311 9520 Jones Rd, Houston, TX 77065 Food Town Property purchased in 1992 from Safeway. 1303 15355 Blackhawk Blvd, Friendswood, TX 77546 Vacant ???? ???? 4711 Center St, Deer Park, TX 77536 Faith Bridge Church ???? *Please note that original store numbers are unknown and are for the purpose of the list only. Unfortunately, that’s outside of my control. Try contacting corporate!